How was your weekend??? It was a humid and rainy one here up on the hill, but we survived! Today, I’m sharing a quick an easy DIY project for you! Like it’s so silly easy that you’ll wonder why you haven’t made one already. 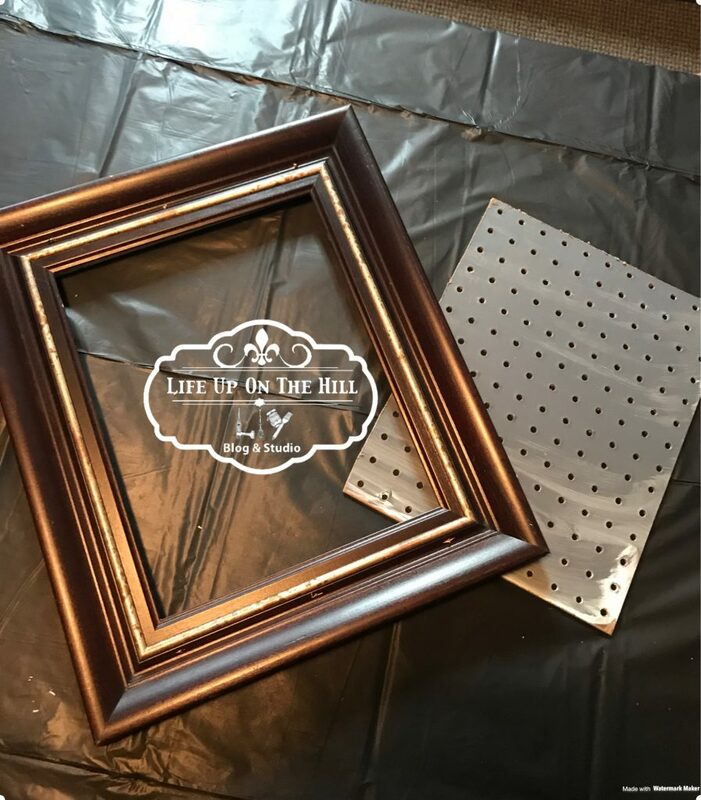 We’re talking about a DIY pegboard frame. I recently took over 2 of the rooms in our basement. 1 for my DIY painting studio where I offer pallet parties each week and the other for my office/studio. Last summer, this (new office/studio) room was repainted and had new carpet laid due to a water line break from an outdoor faucet. It’s so pretty that I didn’t want to ruin the walls by hanging a lot of stuff on them. However, I needed place to hold my tools, pens, scissors, etc. and I needed them within reach. 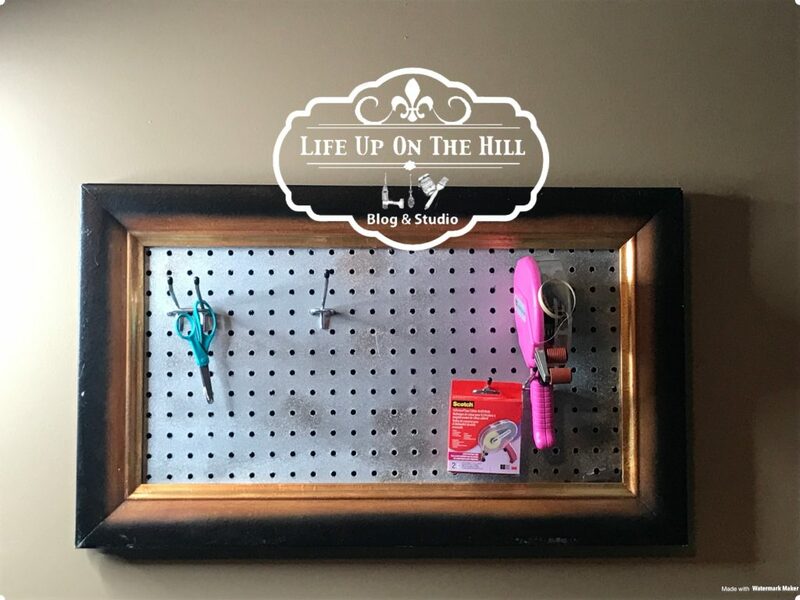 I love pegboard just for the ease of hanging and organizing my tools. What I don’t love about pegboard, is sometimes the size and the fact that you need to attach it to 1×2’s. The was just more than I wanted to do in this room. Soooo what was the answer?? Here’s what I came up with…combining a frame with the pegbaord. I have an unnatural obsession with empty frames. Yep, every time I walk down the 90% off aisle at Hobby Lobby, I grab just about any and all of their empty frames. Usually, I intend to make chalkboards out of them. But this time I grabbed 4 from my huge stash and began brainstorming. 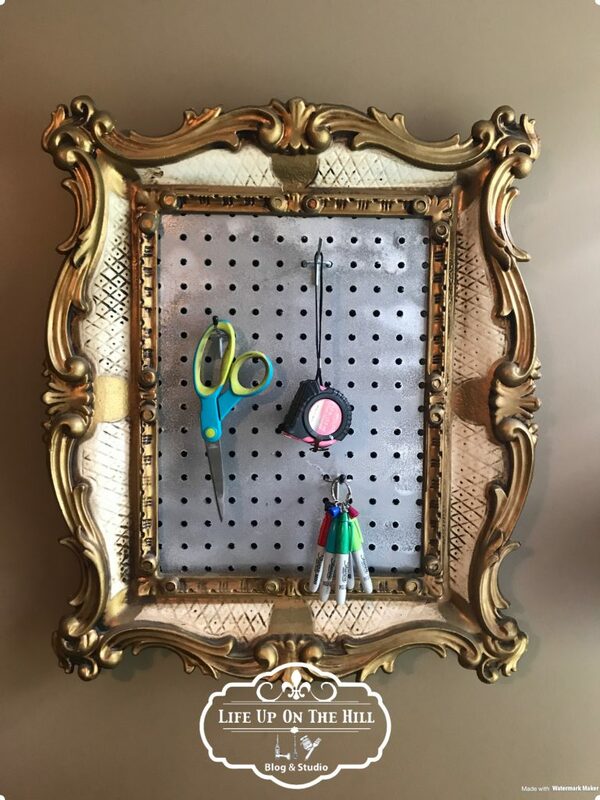 How could I combine the pegboard and a frame? I measured the opening in the back where a glass panel would normally go. I cut the pegboard to that size. Next, I put it into place then ran a bead of hot glue to keep it in place. Now when you use a pegboard, there needs to be enough space between the board and the wall for the hooks to go in. So I grabbed some leftover pallet wood that was 1/2″ thick and attached 2 pieces to the back, then screwed on a sawtooth hanger. This will give me the space needed to put the hooks in. I painted the pegboards before I began the assembly process because pegboard really is kind of ugly. 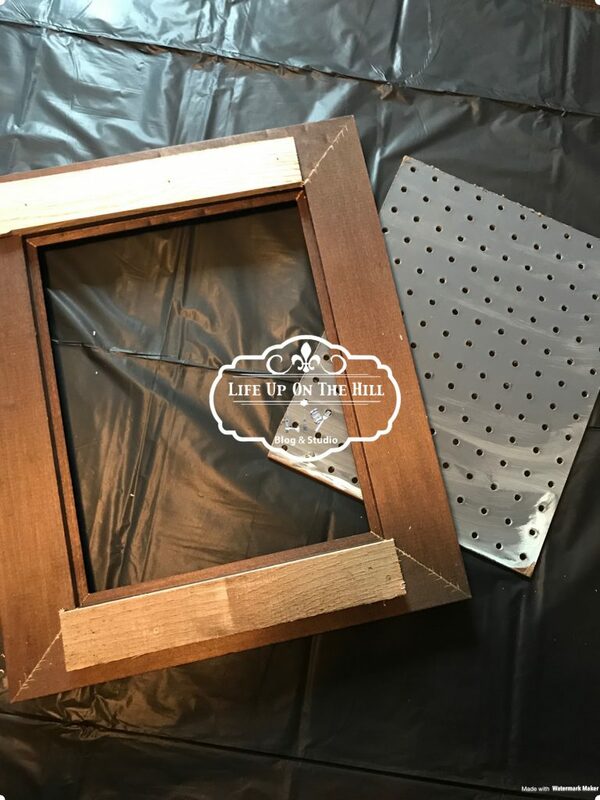 Pegboard can be purchased at your local Lowes or Home Depot and if your fortunate enough to have a cutting service at them, you can ask really nice to have it cut down to manageable pieces. A 4x4ft sheet of the pegboard is about $10.00 at Lowes and you can get an assortment bag of the hooks. This one is by far my favorite!!! I picked this frame up a garage sale a few years ago for like $2! 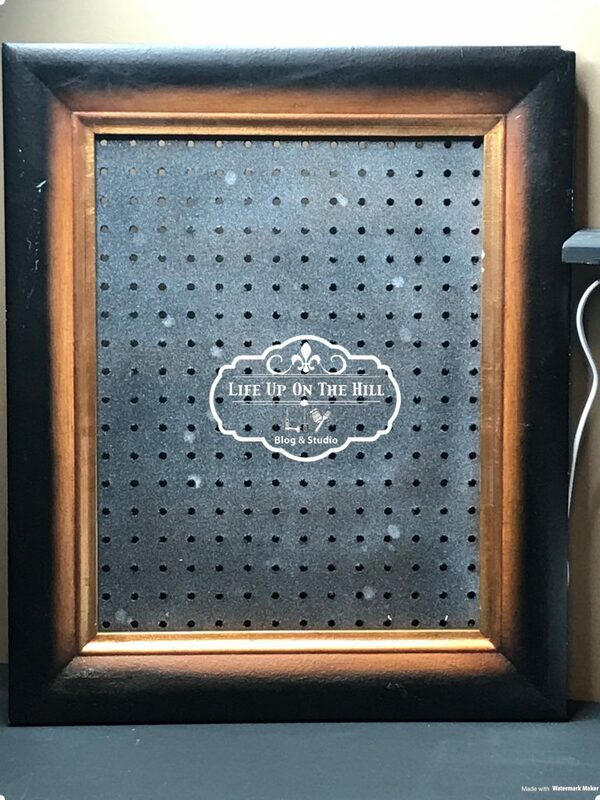 It had a hideous painting in it so I popped that out and made my pegboard. So you can see how ridiculously easy this is. I hope I have inspired you to go make some of these for your workspace area, or maybe even to hang your jewelry on?? These would be great in a kid’s room too! 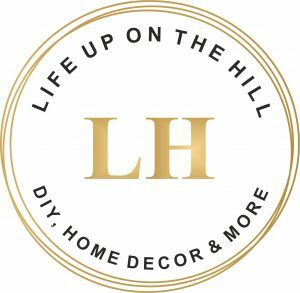 The possibilities are endless, and you don’t have to sacrifice home decor!